When I was a little girl I felt so grown up when I got to decorate my bedroom door for Christmas. This wreath uses craft basics and a dollar store garland to make a wreath the perfect size for a bedroom door! Gather your materials. 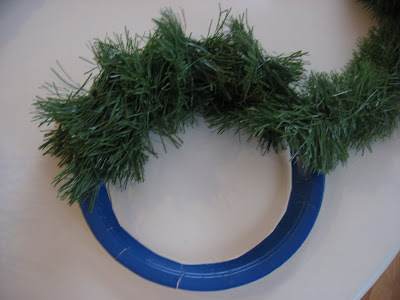 You will need a paper plate, cheap dollar store garland, pom poms, a small bit of ribbon and a hot glue gun. 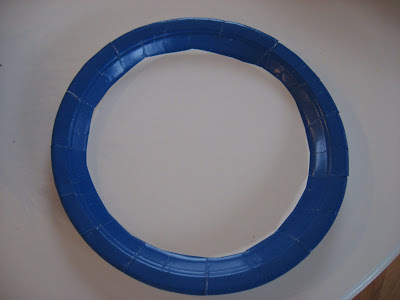 Cut the middle out of your paper plate. 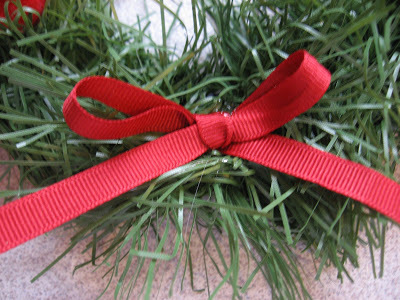 Start by putting half the garland through the hole. 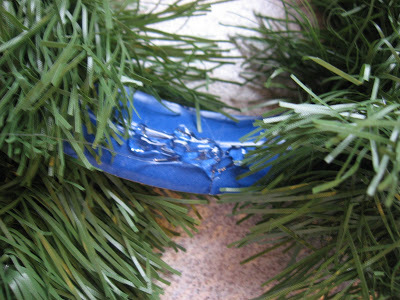 Then start wrapping on end of the garland in and around your paper plate. Don’t glue anything yet.When you get to the end ( all the plate is covered cut. 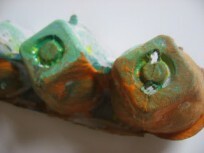 Add hot glue to your plate and glue down both ends. 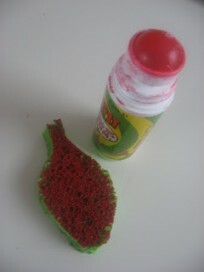 Add some pom poms and ribbon with the hot glue. 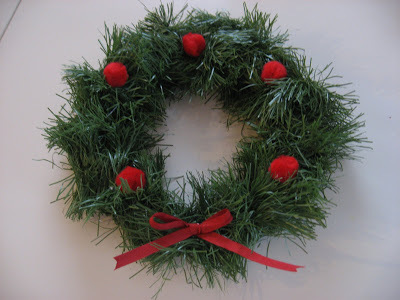 Time to put this adorable, fast and cheap wreath up for all to see! 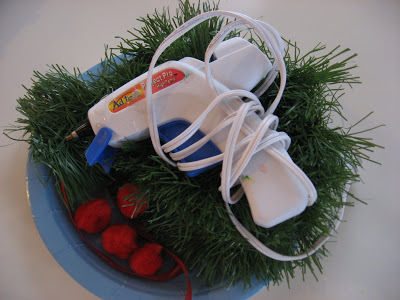 Previous Post: Environmentally Friendly Christmas Lights ! Love this! I’m off to the dollar store with the girls! Good Luck, it’s a snow day here and one toddler is enough for me – we have done so many crafts , done every 5 minute sparkler , and baked. Thank goodness he is sleeping, finally. So cute! 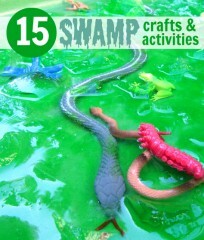 I will be linking to this on Dollar Store Crafts! Heather- the garland was really 1 dollar too! This is such a great idea… can’t wait to try it! Thanks! 🙂 We should be getting lots of snow tomorrow, so I am looking forward to doing lots of crafts, activities, baking, etc. with my 4 year old. Not sure if/when I will get around to wrapping all the presents!